Last month was an eventful month to me, i was invited to Gucci Exclusive Viewing of the Fall Winter Men's and Women's Collection. Many thanks to Leon and his family for sharing their Prestiges Invitation with me. 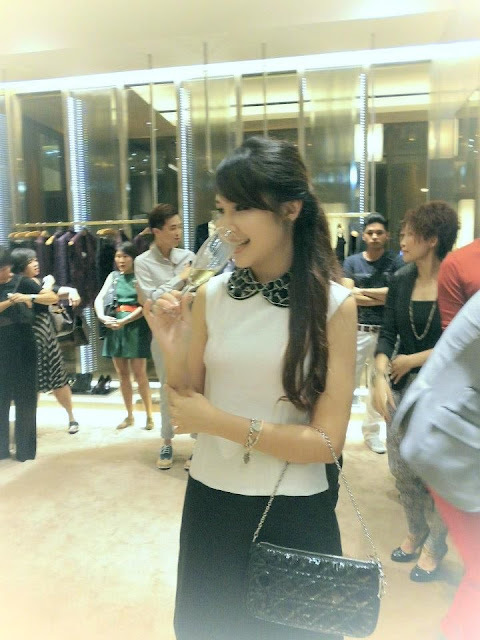 To me, attending an exclusive event like this, i somehow felt so shy to bring out my bulky Sony Camera to capture around where they already have professional photographer that night. I always wanted a small camera for easy carry but my Lumix Lx 3 and Canon S95 are somewhat not that small in terms of size too. On that day i received my first compact digital camera - Casio EX-JE10 just right before the event. Thank you Casio Exilim Malaysia for giving me the oopurtunity on doing the first hand review and a perfect camera for my event later on. If only you realised i was holding this camera on my previous post at The Wanted World Tour. 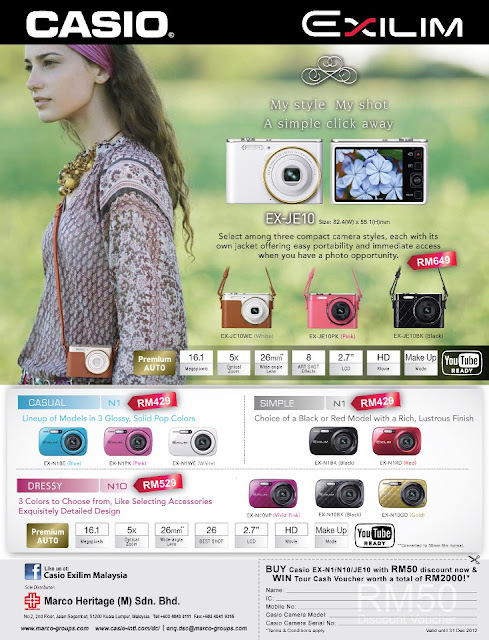 Casio EX-JE10 is not only a normal compact digital camera which features a cute design expected to appeal to women. The EX-JE10 is available in three colors—white, pink, and black—to match the user's style. Each color variation comes with a matching, color-coordinated Camera Jacket with shoulder strap. The EX-JE10 is equipped with a powerful 16.1 megapixel CCD and a 26mm wide-angle lens with a 5x optical zoom. It comes packed with advanced features including Casio's Premium AUTO function, which automatically analyzes the shooting scene to choose the best settings and performs image processing. 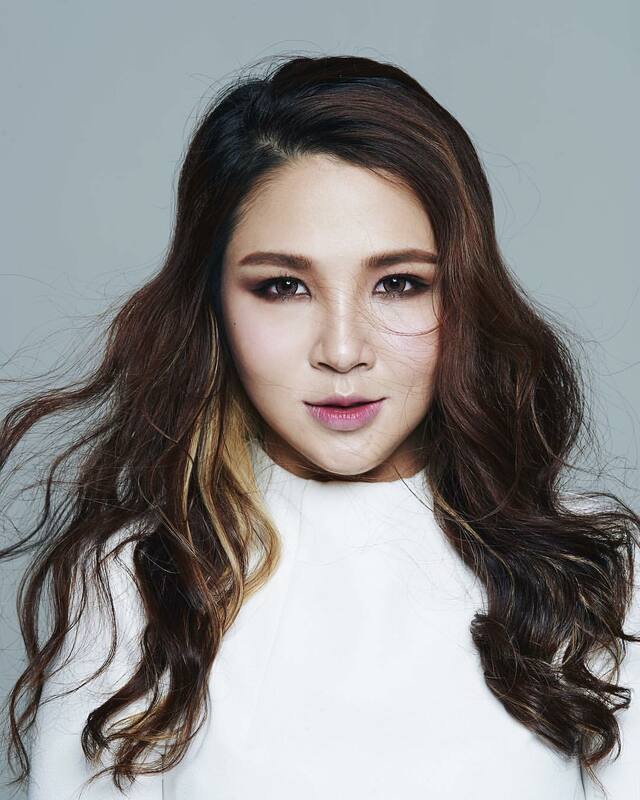 Other features include Make-up Function for making people's faces look their beautiful best, and ART SHOT. Since i already have a few cameras in Black and White colors such as White Sony Nex F3, black Lumix LX3, and black Canon S95, why not go for a Pink camera as i'm a big fan of Pink Color. The EX-JE10 is so small, it just simply occupy the black screen of my iphone. Stacking the both of them on together, my iphone immediately become a giant right below it. How can all the girls not in love with this ladies' camera? Yes, i will definitely be the first one to die for it! Not forgetting it fits perfectly into my clutch too. The highlights goes to Pink Casio EX-JE10 camera, instantly stands out from monochrome outfit of mine. That night was my first time experiencing on EX-JE10, instead of using the normal auto mode, i decided to play with something different since EX-JE10 of it's ART SHOT offers eight different effects for creating artistic photos. I went for Light Tone that reduces contrasts and increases overall brightness to create lighthearted photos. EX-JE10 it's Individualistic photographs can be taken with ease. You can create unique expressions easily without processing the images on a PC. Here are some pictures taken throughout the Gucci event with Light Tone Mode. Some of the pictures taken during our late dinner at Acme Bar & Coffee. This time i went for Toy Camera Mode instead. Apart from ART SHOTs, there are still many more features that I have yet to explore with! Will be updating more about them soon, perhaps a mix and match with my Pink Casio EX-JE10. Stay tuned for more. At the meantime, do visit and like Casio Exilim Malaysia's Facebook Page and Twitter on their latest Casio cameras. If you're interested with Casio EX-JE10, do drop by to any Casio store in Malaysia. It should be available by now, selling price for only RM649. Well, are you planning for a Vacation? 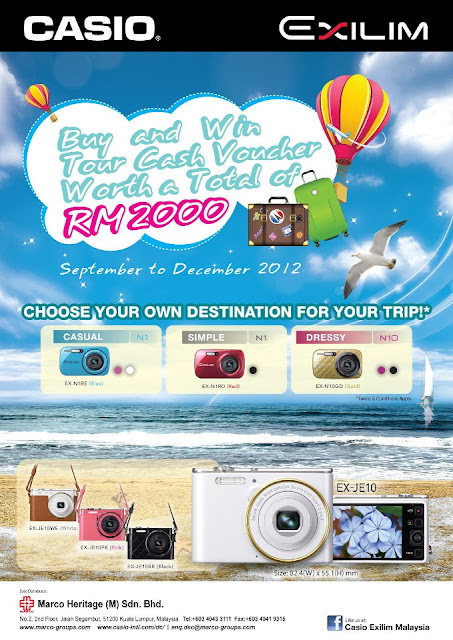 Why not entitle to participate Casio Exilim Malaysia's Lucky Draw for "Buy & Win Tour Cash Voucher Worth a Total of RM2000" whereby you can choose your own destination for your trip. This consumer Campaign for any customers who purchase 1 unit of N1, N10, or JE10 (September to December 2012). Last but not least, Casio Exilim Malaysia is now advertising at New Tide Magazine October Issue 2012. There is a RM50 Discount Voucher that can be used to purchase for N1, N10 or JE10 Camera from authorized dealers. If you are interested with Casio cameras, hurry up and get a New Tide Magazine in hand then get your Casio Camera next. Like and follow Casio Exilim Malaysia to find out more. this camera is cute, inclde the cover how much? wow,super cute camera!and affordable price too!